The UK Department of Health’s recently published Independent Enquiry into Lyme disease made a variety of research recommendations. This blog post comments on these, and compares them with the research recommendations made in the Draft NICE Guidelines for Lyme Disease. Please note that comments are on the Draft version of the NICE Guidelines. The finalised version is due to be published in April 2018 and it may differ from the draft version. For a general overview of the Independent Enquiry reports, see our previous post. The full INDEPENDENT ENQUIRY can be read here. The DRAFT NICE GUIDELINES for Lyme disease can be read in full here. the risk factors and the costs associated with Lyme disease. The paper states that published research generally lacks precision, and that future research should be more specific on the patient populations being studied (age, symptoms, recent vs. longstanding infections etc), the treatments used and the outcomes. The observation that the research published so far lacks precision concurs with the statements on evidence made throughout the Draft NICE Guidelines for Lyme disease, which can be read in full here.The Draft NICE Guidelines evidence reports on Lyme disease almost universally conclude that the evidence was at serious risk of bias and serious risk of imprecision, as evaluated objectively using the QUADAS methodology developed by the University of Bristol. Many studies assessing antibiotic treatments and diagnostic tests only report on one or a few symptoms, (eg. “neurological symptoms” or “EM rash”) without reporting anything about the other symptoms. They do not all use a number scale to measure the severity of each symptom. The Draft NICE Guidelines made a research recommendation intended to address this problem of imprecise and potentially biased research. They recommend that a “Core Outcome Set” for Lyme disease should be developed in the UK. This research would aim to establish a comprehensive list of signs (these are abnormalities in illness which can be seen by other people and/or measured with tests) and symptoms (these are the effects of an illness that the patient subjectively feels) of Lyme disease, and a standardised means of measuring or evaluating the severity of each sign and symptom as consistently as possible from one patient to the next. Some private doctors who treat Lyme disease patients have created their own “symptom score card” to evaluate patients for the likelihood of Lyme disease, and to help monitor their progress; this concept is a simplified version of a core outcome set. The Core Outcome Set would be able to ensure a higher quality of future research on diagnostic testing, treatment protocols and almost any aspect of Lyme disease. It would guide researchers, for example, to record all the symptoms of patients, and their severity before, during and after a treatment trial: much of the research so far only records a couple of symptoms or even just one. If each research team used the same Core Outcome Set, then their various research results could be directly compared against each other. It is not possible to compare a treatment trial which reports on the improvement in the patients’ Lyme rashes with a different treatment trial which records the improvement in their Lyme neuroborreliosis symptoms. This means that meta-analysis (direct comparison of different research papers) of the previously published research on lyme disease treatment, for example, is difficult or impossible. A Core Outcome Set, produced through patient-focused research, could also go a long way to helping address recommendation 2 (above). The need to document and evaluate the different distributions, and the range of severity, in all the symptoms of such a complex and varied condition as Lyme disease is one of the vital keys to improving the current diagnostic rate, which many observers believe should be significantly improved. A study of patient symptoms, their progress through diagnosis and their perspectives of those experiences. A study of UK doctors who diagnose Lyme disease including identifying their knowledge gaps, and diagnosis of people with atypical symptoms and chronic Lyme. It identifies a need for doctors and patients to be brought together in the research to look for solutions together. The research recommendations on diagnosis in the Independent Enquiry only address the questions the reviewers were asked to answer. For example, they advise documenting the patient experience of treatment (because they did not find research about this), but not research into which actual treatment works best (because they were not asked about this). Lyme disease can present with such a variety of different symptoms that we do need a reliable laboratory test. The only test researched so far is the ELISA and the Western Blot, but the research is all low quality and not done on UK patients. The recommendations in the Draft NICE Guidelines also observe that there is no way to test if a Lyme disease patient is cured, and that we know little about the course of antibody presence over time, and that information on this would be valuable. The broad scope of the recommendations made by the Independent Enquiry would shed light on the UK patient experience of being evaluated for Lyme disease, as well as being tested, but the recommendations made in the Draft NICE Guidelines aim to bring us closer to having hard facts which may change that experience. Some of the tests which are recommended for investigation do not rely on antibodies, so they might solve the question of whether people can have sero-negative Lyme disease, in other words, Lyme disease infection but without detectable antibodies. They would also mean doctors could test after treatment, to find out if the patient really is cured. These tests could become free on the NHS if they were proven to be more reliable than the currently used tests. Research is desperately needed on the “real world” factors affecting treatment and outcomes. The report found no research at all on the patient or doctor experience of Lyme disease treatment. The Independent Enquiry found no evidence on the patient experience of treatment for Lyme disease. It made a very general recommendation, within the scope of its remit, to research the UK patient experience during treatment for Lyme disease. The only research so far published on this is out of date and very low quality in terms of bias and imprecision, and no research has ever been done on UK patients, whose Lyme disease may be caused by different strains of bacteria from US patients. Currently patients are not prescribed long term antibiotics, many remain chronically ill and some of them end up costing the NHS a fortune in treating symptoms and complications, not to mention lives ruined. The implications of proper antibiotics trials for patients are huge. If long term antibiotics, or higher doses, can get more patients better, then they should start getting treatment on the NHS. If they cannot cure patients, then at least we will all know we need to research other treatments. UK-based studies examining the effectiveness of personal protection and education to verify their applicability for this country. Evaluations that use objective outcome measures to assess the incidence of Lyme disease (e.g., GP records of diagnoses). Empirical work to evaluate the generalisability of these findings to different social and ethnic groups. Robust evaluations of antibiotic prophylaxis and checking pets for ticks. More research on the effectiveness and safety of vaccination and deer-targeted programmes. Collaborative research between key stakeholders to optimise the relevance and utility of Lyme prevention research. 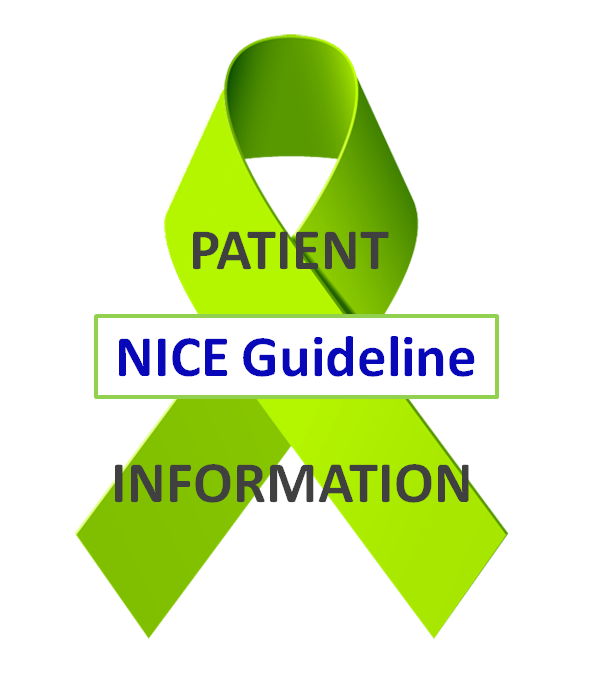 The NICE Guidelines did not include Lyme disease prevention in their scope and, therefore, the Draft NICE Guidelines did not make any research recommendations on this aspect of Lyme disease. Somewhat bewilderingly, the Independent Enquiry did not report on the evidence on specific methods of tick removal in relation to prevention of Lyme disease. There is much debate about how long a feeding tick must be attached to be able to transmit the disease and on how different methods of tick removal – tick removers, tweezers or other methods which may or may not extract the feeding parts of the tick – can influence the probability of infection. The research on this topic is contradictory and a systematic evaluation of it might have been very useful. The Independent Enquiry research on prevention evaluated deer on the assumption that they are reservoirs of Borrelia burgdorferi, meaning that they host the bacteria which cause Lyme disease and re-infect each new generation of ticks in the spring. Deer are no longer regarded as being a key part of spreading Lyme disease via ticks to other animals. We are unclear why research on deer culling is recommended, which is based on now disproved beliefs about how Lyme disease spreads. In fact mice (and some other small mammals) are the natural reservoirs of Borrelia burgdorferi which re-infect ticks each spring. Experimental programmes vaccinating wild mice orally have been researched with potentially promising results, but the evidence on this was not examined in the reports, and research recommendations on this approach to controlling Lyme disease were not suggested. (cf. An ecological approach to preventing human infection: Vaccinating wild mouse reservoirs intervenes in the Lyme disease cycle, Tsao et al.) Overlooking oral vaccination of wild mice and other reservoirs of Lyme disease reduces the usefulness of the prevention report. Research on the efficacy of a new antibody vaccination (released in 2014) is recommended by the Independent Enquiry, which may be promising for people who are often exposed to ticks, for example as a result of their type of work. This is very different from the older antigen vaccination, which was withdrawn and has drawn important criticism for its adverse effects on some people. The new vaccination consists of antibodies to Borrelia burgdorferi, the bacteria which can cause Lyme disease, which remain in the human body for 6 months. This research would aim to answer the following questions: How many people in the UK have Lyme disease, how are they treated, how many actually get cured and what are their long-term symptoms? What happens to people with inadequate antibiotic treatment? What are the different types of immunosuppression associated with Lyme and how does this affect patients’ symptoms and recovery? Can we find incontrovertible proof of congenital transmission? We do not know how many people in the UK have Lyme, we do not know how they caught it and we do not know how many of them actually get cured. With objective statistics, we will find out how many people are getting diagnosed late, how many people are not getting cured, how many people with Lyme are immunosuppressed, and of the ones who do get cured, what treatment they had. This objective evidence will prove what needs to change in the way NHS patients get diagnosed and treated. The NHS currently has no information about this at all. Many patients are concerned about co-infections and they should no longer be ignored. In America some people have Lyme antibodies but no Lyme disease or history of Lyme symptoms. Apparently their immune system fought off Lyme the same way it can fight off flu, for example. We have no information on this in the UK. Caudwell LymeCo Charity is raising money to help fund the research recommended in the NICE Guidelines, which are expected to be published in their final version in April 2018.